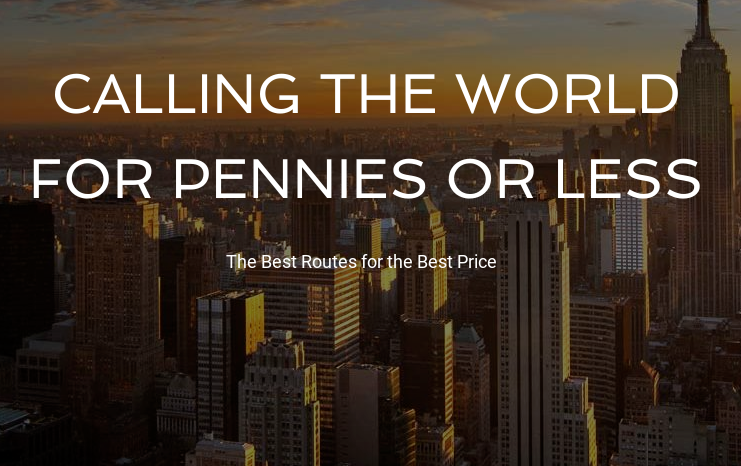 Calculating your Hourly Rate, the right way is crucial for your business success. Failing to do so, will soon get you out of business. You may find yourself in a position thinking that your hourly rate is ok and then at the end of the month there is no profit left to survive on. Starting a new business is one thing and staying in business is another thing. 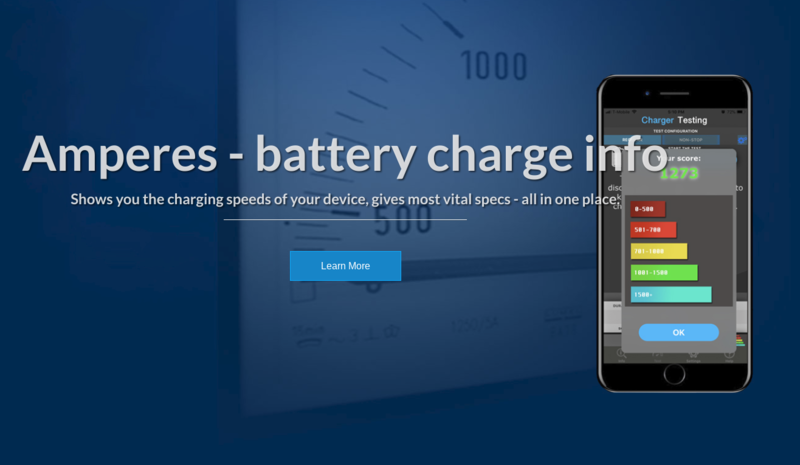 To stay in business, you need to somehow figure out what to charge your clients. You need to pay attentions to all your expenses, taxes and the actual hours you're working. This is hard work and can really give you headaches. Is there a science behind? Of course, there is. I just made an app to fix this issue. 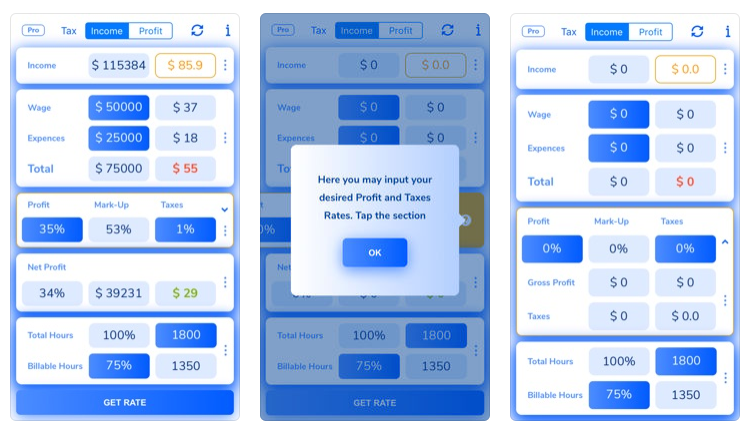 Get your Hourly Rate Calculator today and calculate the hourly rate that helps you stay in the business and make some profit with just a single tap! 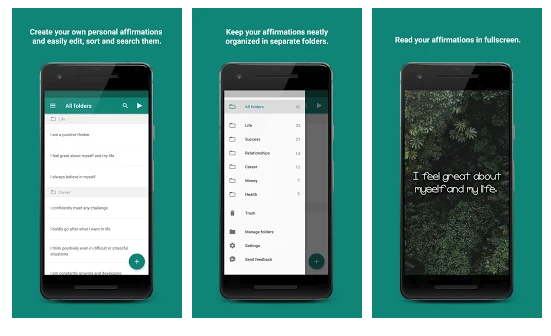 Text Reminder App is a simple, free text reminder app. Schedule texts to send to yourself or others so they don't forget about important tasks or events. 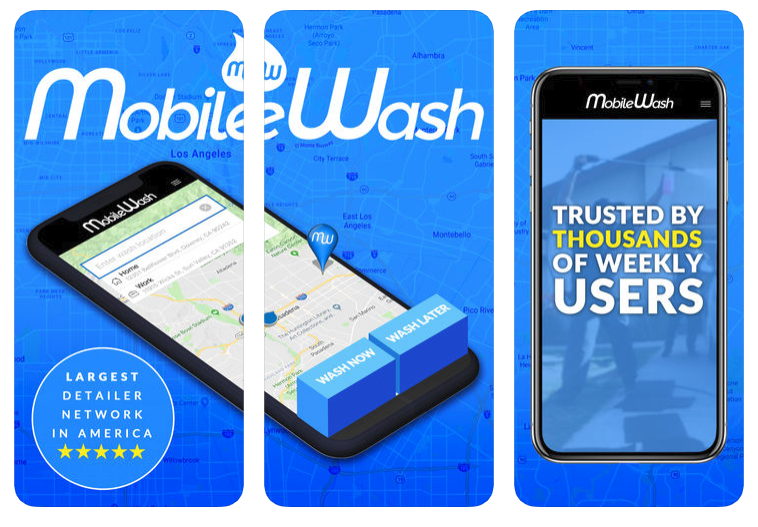 Perfect for personal or business use. 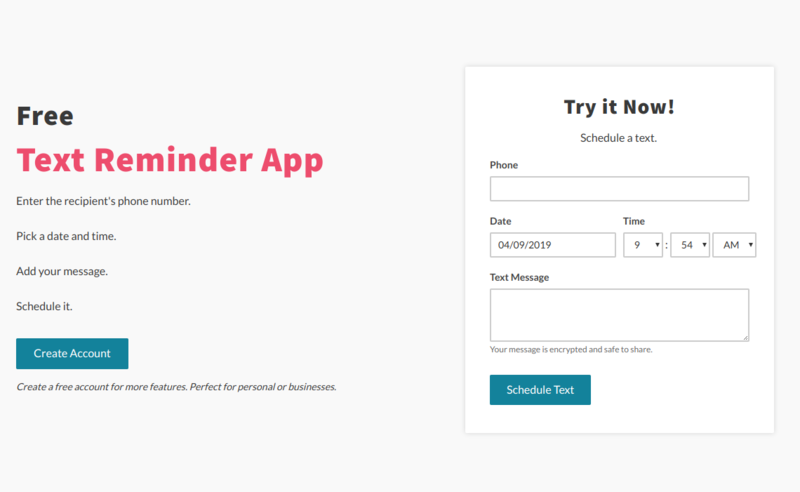 Text Reminder App allows you to draft, schedule, and manage texts in a simple, free platform. 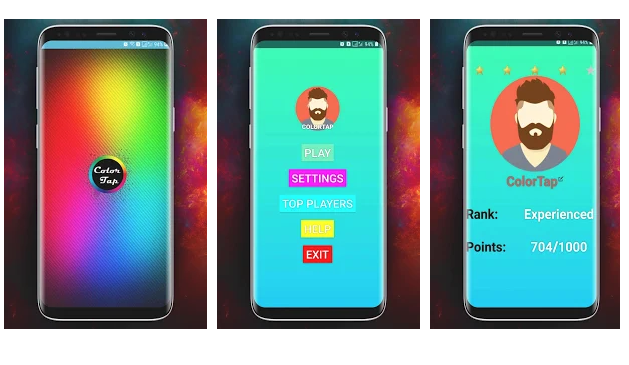 Simple fun arcade game where you test your timing and tapping skills. Try not to miss the platforms as you tumble down the road. You can unlock new characters if you are good at collecting coins or bitcoins. 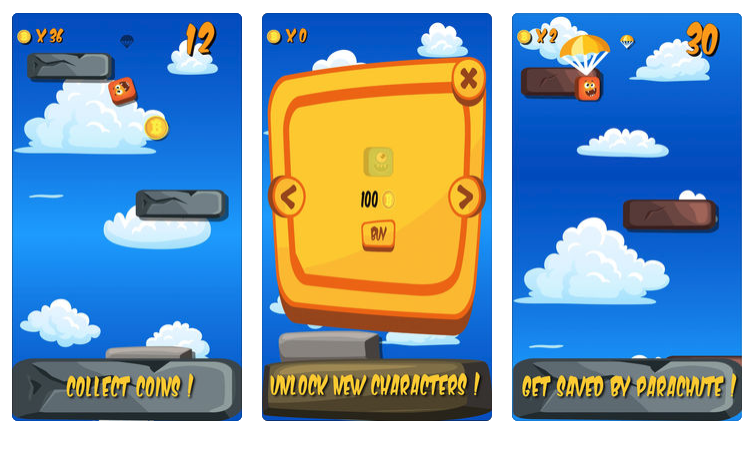 Apart from collection coins you can also collect parachutes, which can save you if you miss the platform. When you reach certain amount of points, keep your eyes peeled, because evil alien spaceships will try to knock you down of the platform with their deadly fists! There's something about a trivia quiz that people just love. It doesn't matter whether it's Who Wants To Be A Millionaire on TV , Trivial Pursuit as a board game or simply your local pub trivia night - people love to watch them and take part. 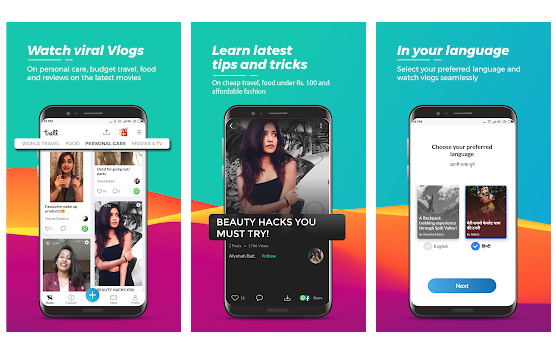 However, while there are quite a few trivia games available in the various app stores you won't find too many with the earning power that this one has. 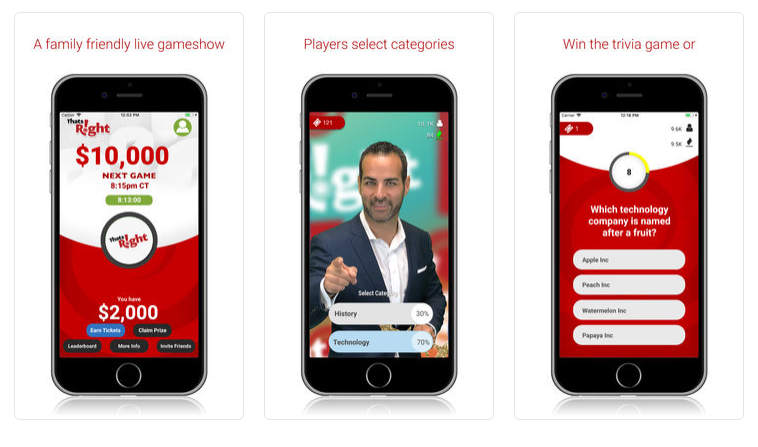 The catchily named That's Right is a free live game show app for both Android and iOS that gives you two chances to win a cash prize every night. That's Right delivers a fast paced mix of brain power and pure entertainment - as well as more than a slice of luck - over two simultaneous games. First up, there's the trivia part of the game where you get the chance to win a share of a thousand bucks if you answer all twelve questions correctly. Then there's the luck part where you can win another grand. Everyone who takes part in the trivia quiz gets a ticket into the raffle at the end of the night. The more questions you get right in the trivia part gives you more tickets to play in the raffle. While the trivia winners split one prize, the raffle gives one person the chance to win the whole cat and kaboodle. Pretty cool, eh? Aero Attack is a retro shooter arcade game for iOS and Android where you play as a pilot named Bob, tasked to defend the human race from various aerial minions. Fly Bob and his shooting plane through space, dodge the floating minions, alien bosses, satellites, and a couple of space cows. What makes it unique is the challenge of shooting the incoming minions, while keeping that nerve-wracking flappy style jump when avoiding them. 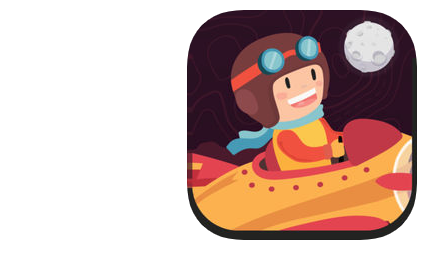 Aero Attack is an addictive game of discipline and skill, looking to make people feel nostalgic and sentimental, remembering the retro games everyone loved spending time on and emotions they stirred in us. 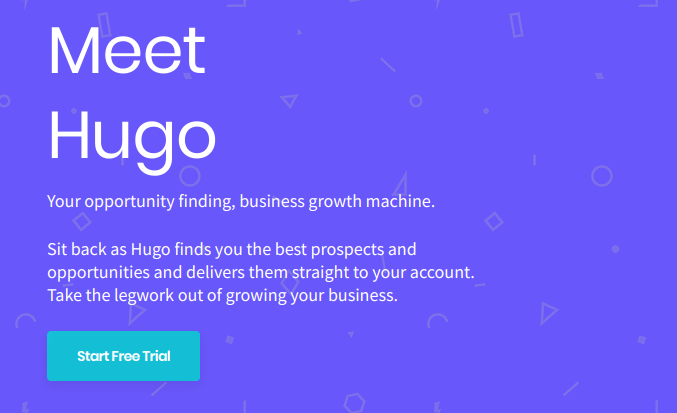 Meet Hugo finds B2B businesses the best prospects and business opportunities and delivers them straight to their account. Take the legwork out of growing your business. Users brief us on the types of opportunities that would help them grow their business, and our system of Ai and researchers finds those opportunities and matches them to the relevant business. This allows businesses to grow faster, as they can be much smarter with their sales efforts.